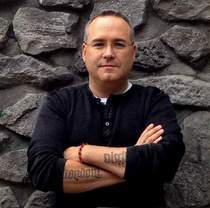 This is about the tenth book in either Judy Moody or Stink Moody series that I have read. And boy was it fun! I actually read this while home sick myself, and my wife and children were sick also. This book made some of the stuff we were going through easier to take. 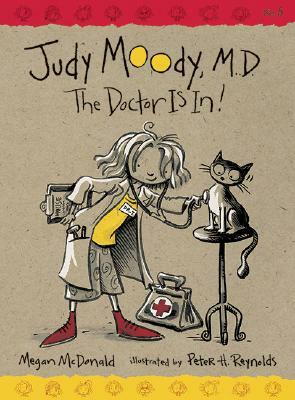 The book focuses around Judy and her continued desire to be a Doctor when she grows up. Her class has a trip to the Emergency room to visit the Hospital with the other third grade class. But soon after that trip, Stink ends up sick and gets to stay home from school. 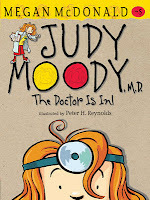 Judy wants to help doctor him back to health but ends up catching the mumps herself. As we all know Judy can be moody at the best of times. 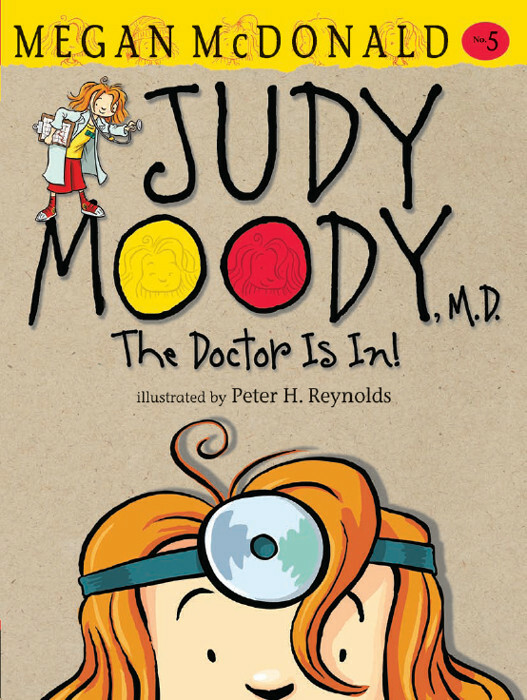 Once she is sick, her mood becomes something even more, which for Judy is saying a lot. But through the help and support of her brother Stink, and her friends, things begin to turn around. This was another great book. The collaboration between McDonald and Reynolds is amazing, as is the way the story is complimented by the drawings and illustrations. The flow of the story and the way you can pick up any of these books and read it either in order, or out of order, is great. These truly are amazing books that children of all ages will enjoy reading together and that is my M.D. My Determination!